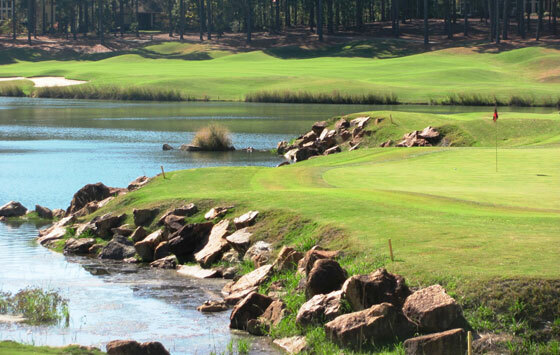 Talamore Resort boasts two of the more popular courses frequented by travelling golfers in the Pinehurst area: The Rees Jones Talamore Resort Course and an Arnold Palmer’s signature design, The Mid South Club. 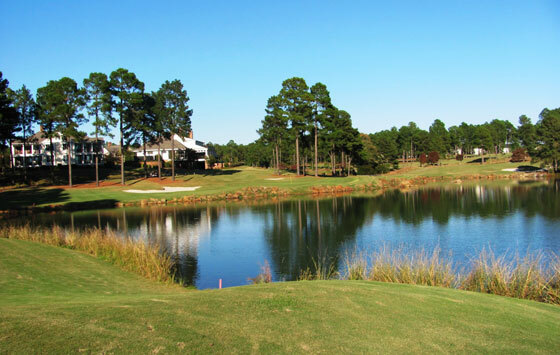 The Club began life as Pinehurst Plantation in 1993 but was later obliged to drop Pinehurst from its moniker after a legal dispute with Pinehurst Resort. The Talamore Resort Group took control of the course in 2004 and subsequently constructing a palatial clubhouse and adding the several Lodges which overlook the practice area and the dual 9th and 18th green complex. On this routing Arnie gives you space off the tee with large fairways and the green complexes are also generous, however, the bunkers are also large, as are the lakes that come in to play on a regular basis. Although the course snakes through a residential area the setbacks are ample so you don’t get that feeling of claustrophobia that so often accompanies residential courses. With an abundance of well place fairway bunkers and the numerous water hazards that need to be negotiated the course invites imagination and shot diversity. Shot selection is also influenced by the risk/reward opportunities that the numerous doglegged holes provide. One of the Arnie’s trademark design features is the playability his courses tend to offer golfers of all abilities. At 7003 yards the low single digit capper is presented with a shot making gem while the other four sets of tees afford an equally enjoyable experience for all handicap ranges playing a distance that is appropriate to their skill set. Considering that Palmer is such a gentleman he seems to have a nasty alter ego when it comes to par 3’s and water hazards. Arnie’s devilish side is on full display at the par 3’s six and seventeen. The 17th is a beast of a hole playing a hair over 200 yards from the tips. This severely sloped green will accept only the purest of shots. 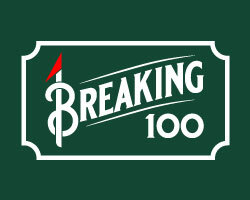 Void of any bail out areas the uphill approach offers no margin for error with bunkering long and short with the wide miss resulting in a nasty side hill chip. Whether the 6th hole is played at 104 or 178 yards you are faced with a forced carry to a shallow green site. The pond laps the front edge of the green so anything short is wet and the over conservative long ball will be followed by a nerve jangling pitch back down towards the water. Pars on this duo will likely earn you honors on the next tee. Water can once again wreak havoc to a tidy score card on the front and back nine closing holes. If an eagle put on the par 5 ninth is your goal then your tee ball must flight right-to-left around the corner of this fairly sharp dogleg left to catch a down slope. 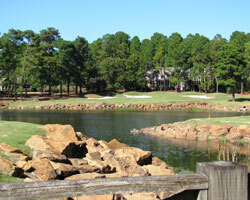 A mighty fairway wood strike will be needed to carry the pond and fronting rocks to reach the putting surface in two. To add a little extra stress to the shot the clubhouse balcony overlooks the adjoining 9th and 18th green complex and the critical audience is as quick to moan failure as it is to cheer success. The lengthy par 4 dogleg right 18th holes fairway wraps around the lake. The approach demands a forced carry over water and the same rock wall that scared you on your approach to the 9th green. If you are feeling courageous take dead aim at the pin at let it fly however a bail out left is not a bad plan if a good score is to be protected. 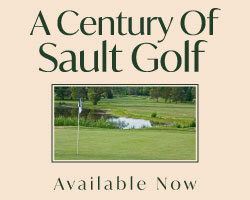 Access: Guests of members or through golf packages.